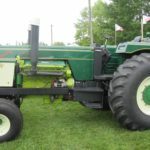 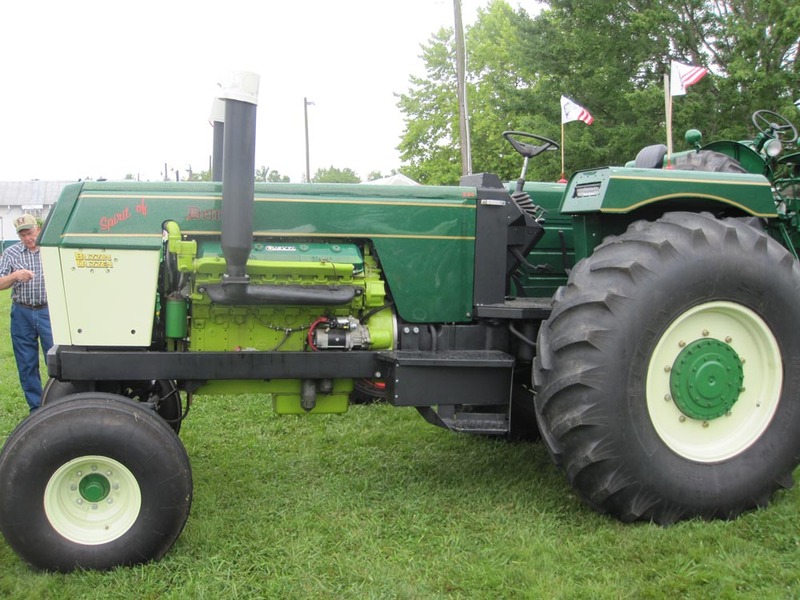 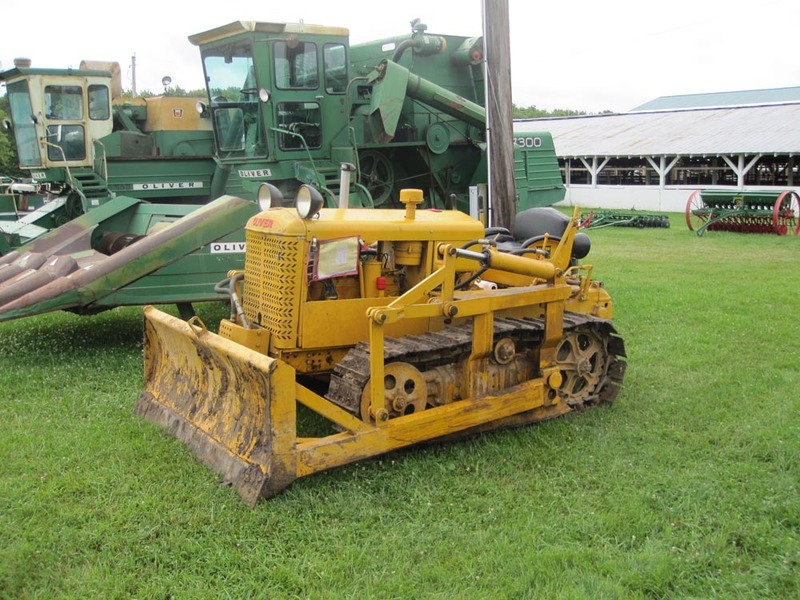 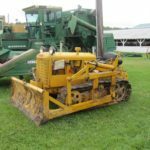 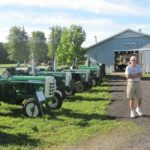 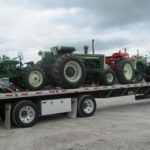 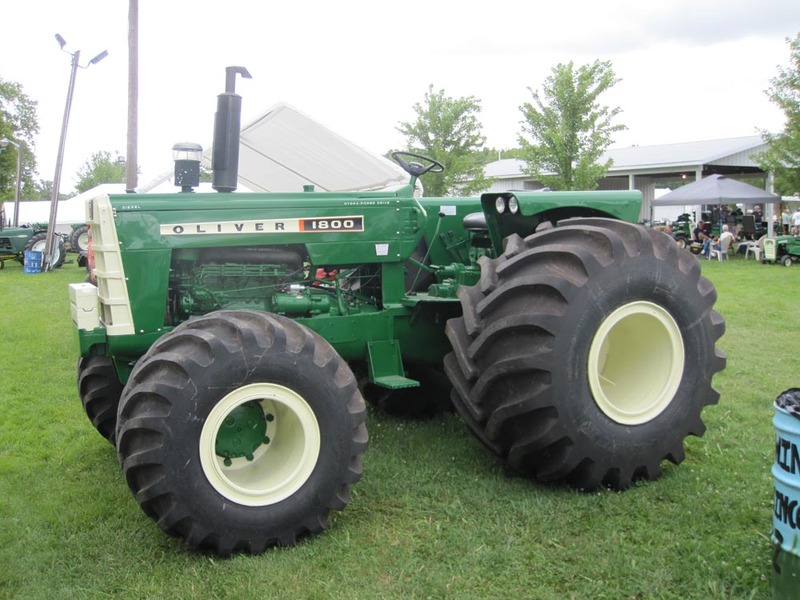 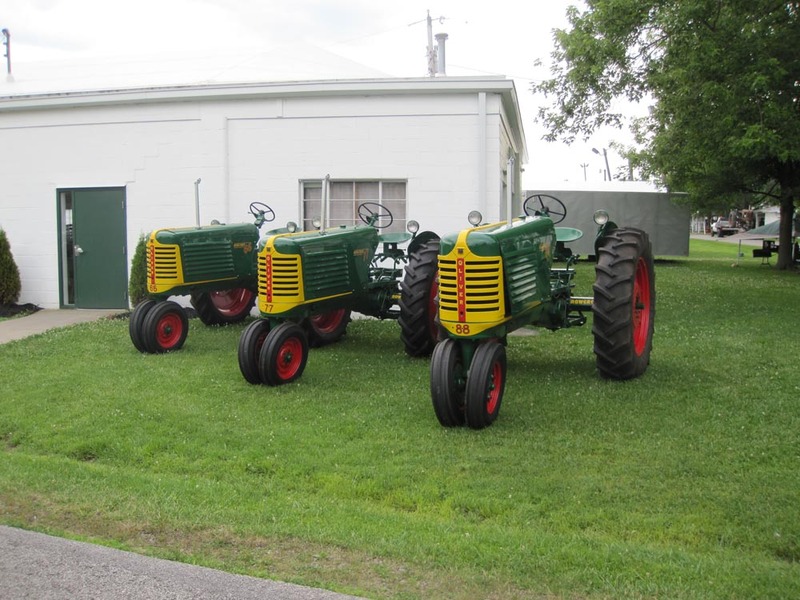 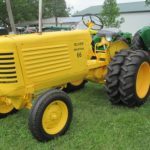 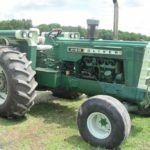 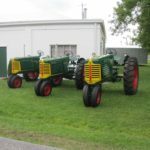 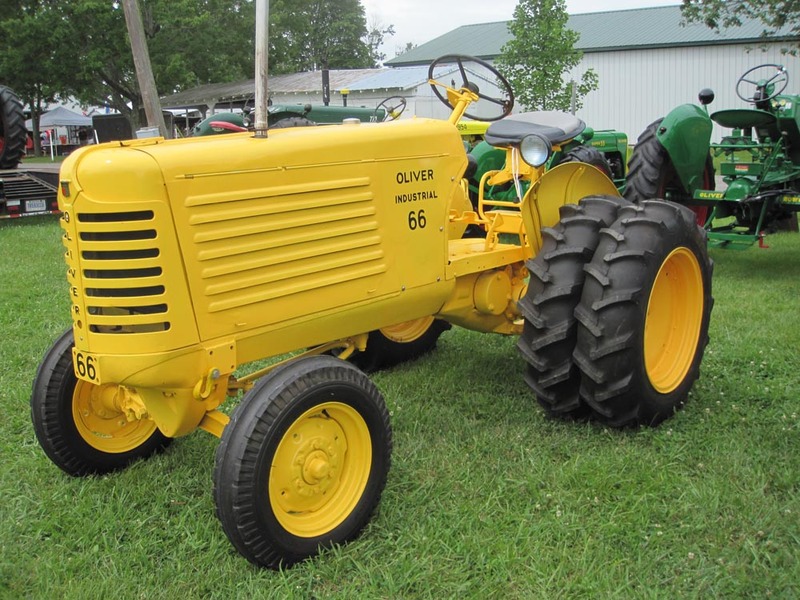 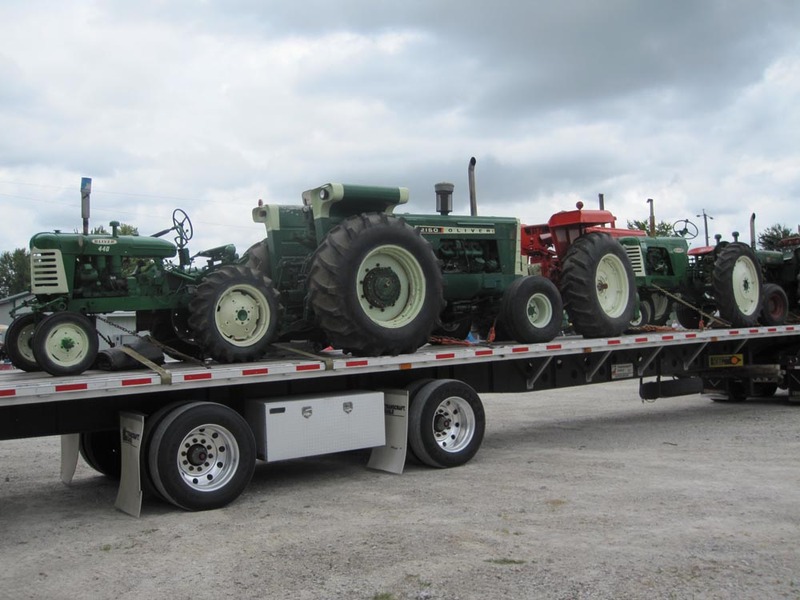 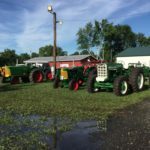 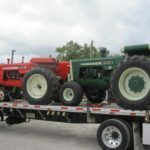 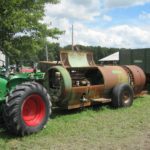 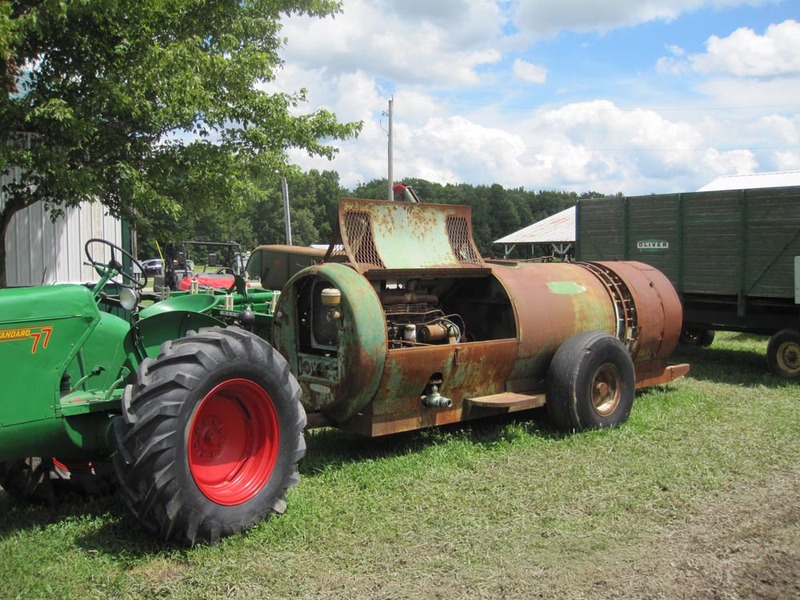 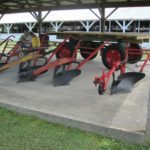 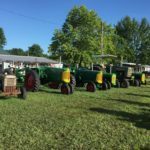 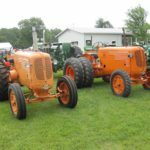 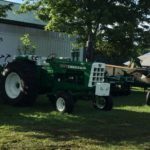 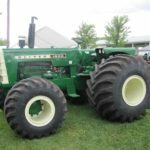 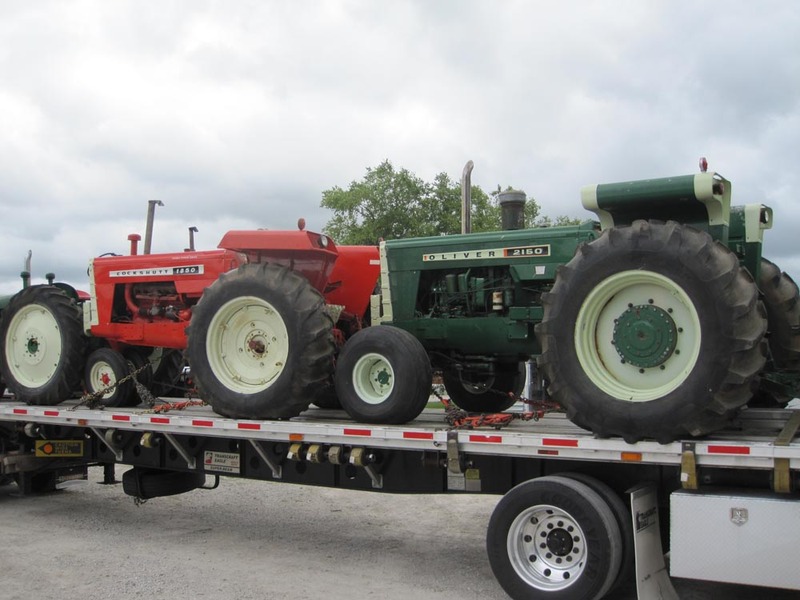 The Buckeye Oliver Collectors were also at the HPOCA National Summer Show the same weekend as the Wauseon show with officers and board members split between the two places. 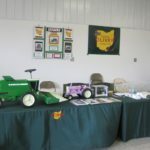 Our presence was quickly recognized as we displayed two club tables with the feature being the three raffle prizes on display and tickets being sold non-stop. 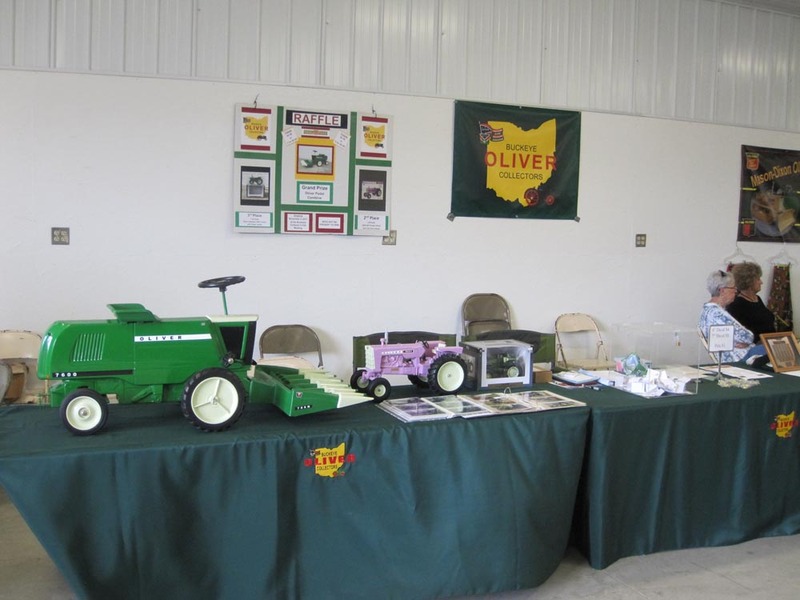 What a great response to the Oliver pedal combine and the 1850 Purple 1/8 scale tractor prizes. 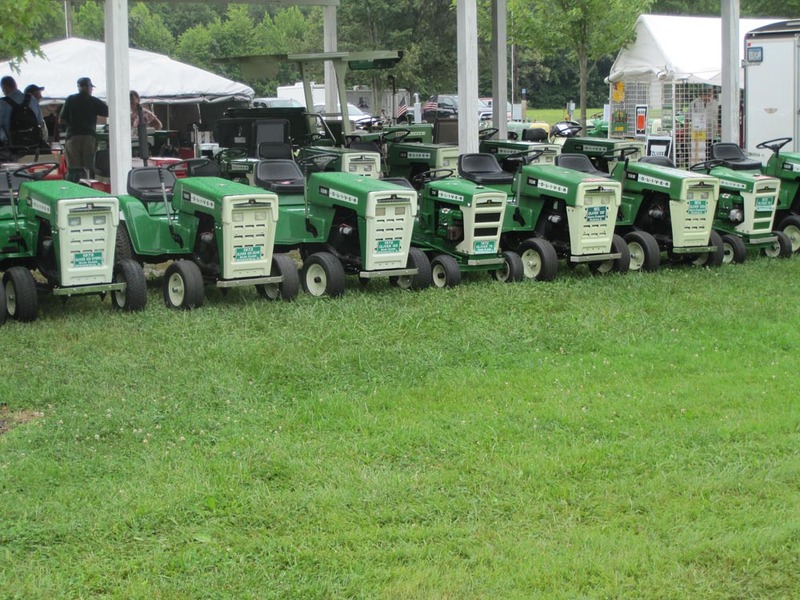 The turnout of club members was good with 29 signing in at the tables and many helping at the tables; Thanks to all. 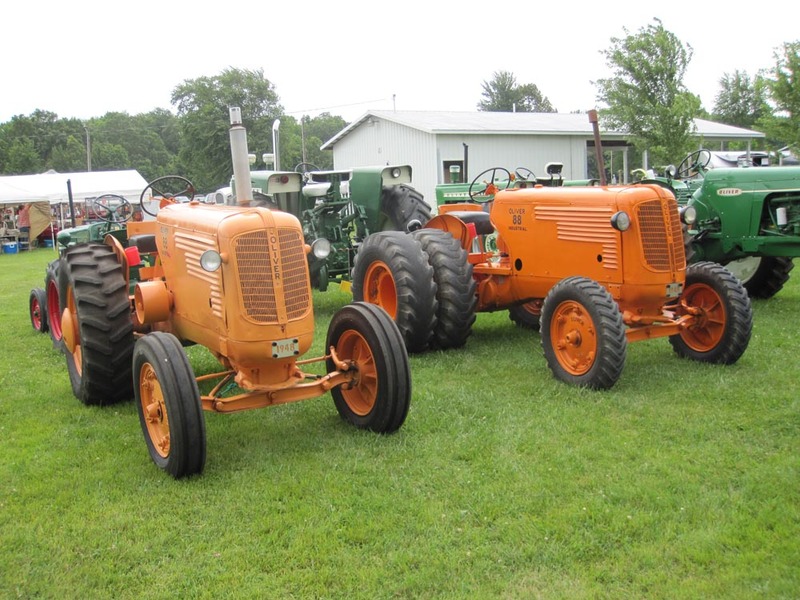 We also signed up a few new members. 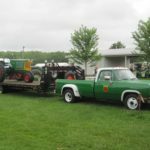 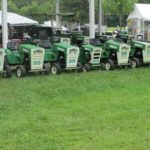 The show had a nice display of Oliver tractors, lawn and garden tractors and implements. 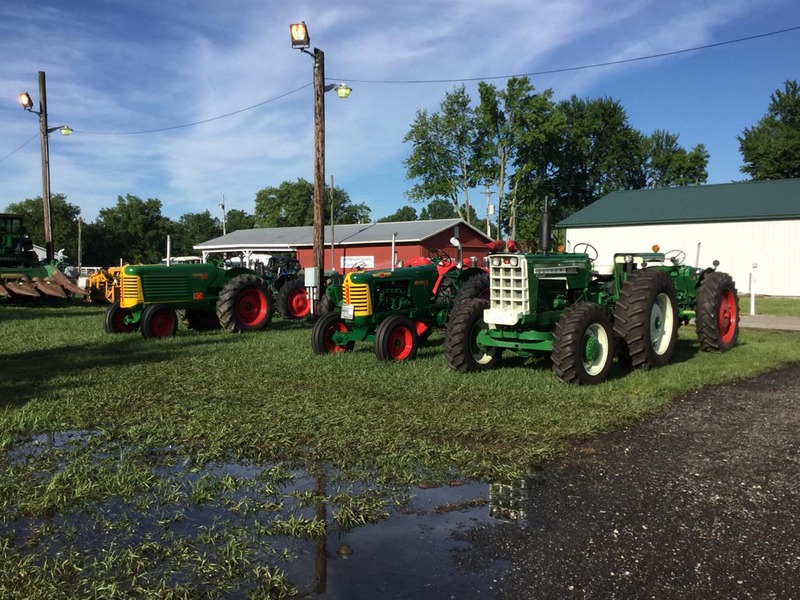 Even with all the rain on Friday the turnout was good. 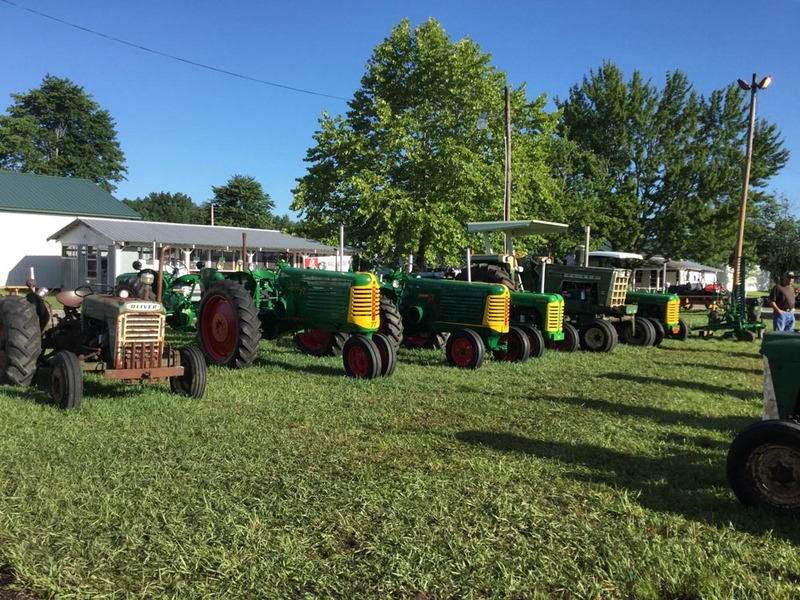 On Saturday the sunshine and auction brought out a good amount of spectators to enjoy the show. 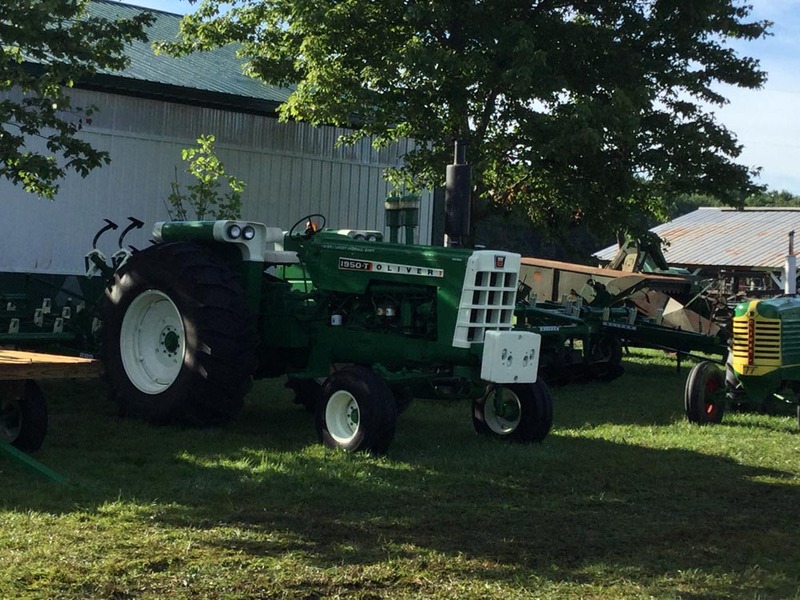 The best part of the show was the great people that you get to see and visit with. 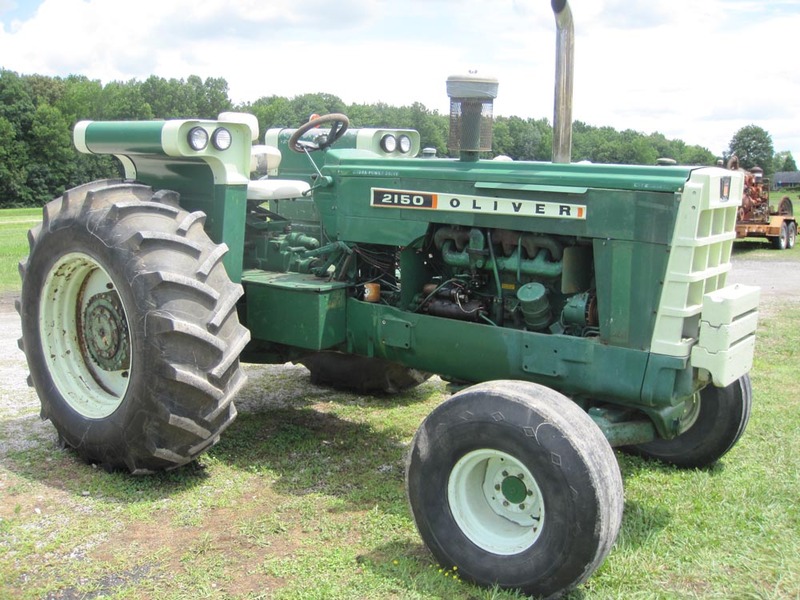 It becomes an Oliver family reunion and there is never enough time to hear the stories and catch up on life. 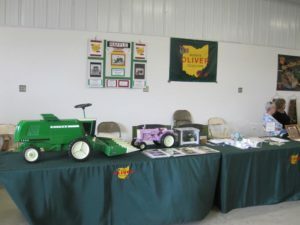 Having 5 of my own tables full of Oliver stuff kept me pretty busy. 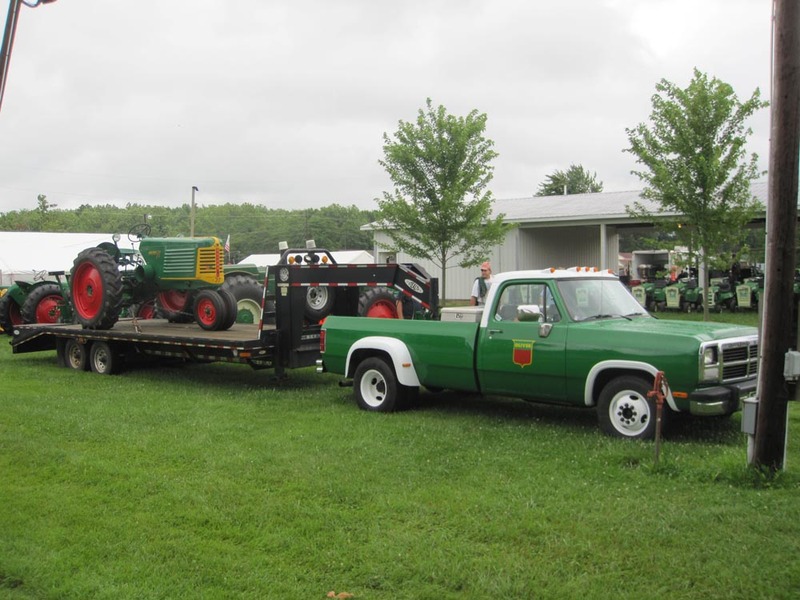 When our club members seen this they jumped right in and helped sell; what a blast having this kind of friendship. 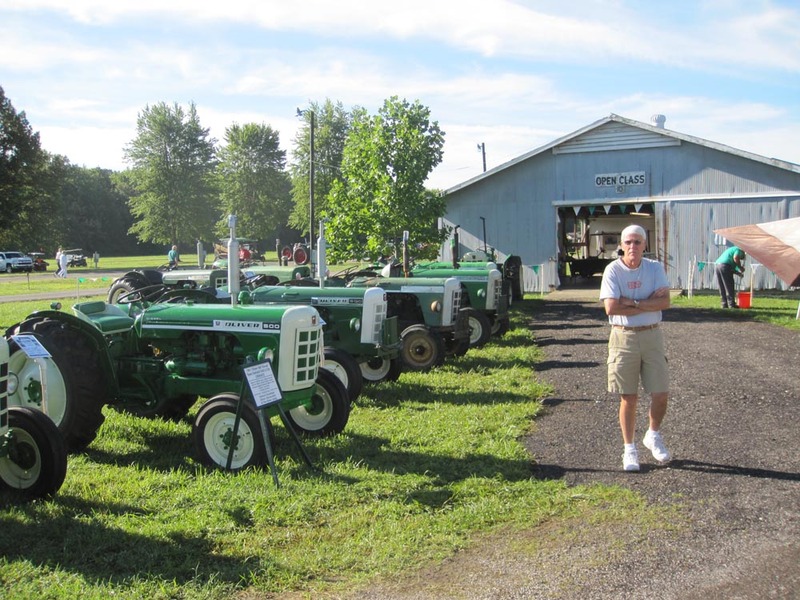 Larry has told me for years that there is always one group of people you can count on, I got to see this first hand as our Oliver friends and more than friends. 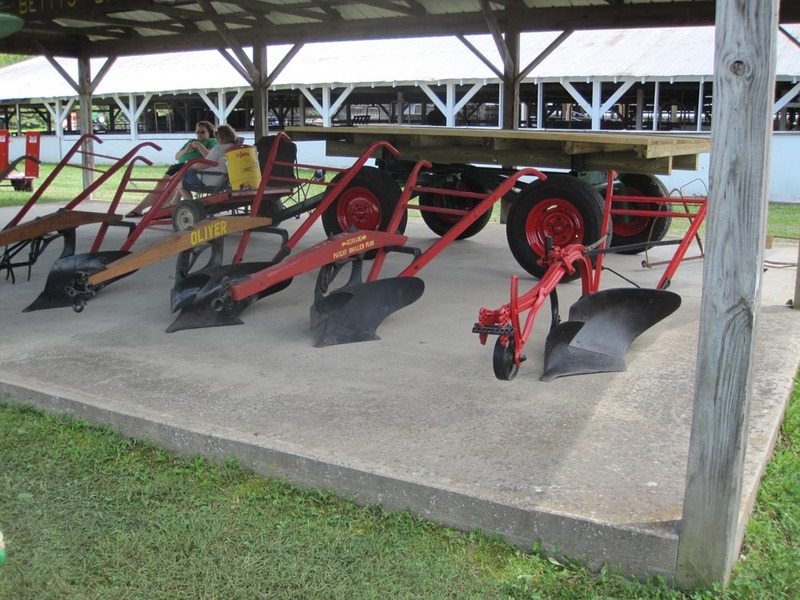 Buckeye Oliver Collectors Summer Show with the National Threshers Assoc.